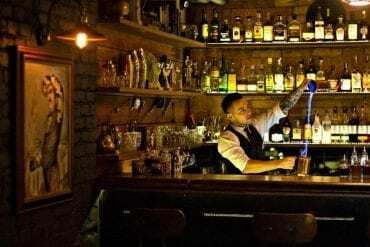 The days are short and the temperatures are low, but if you leave the comfort of your warm couch there are plenty of things to do in Warsaw in winter. 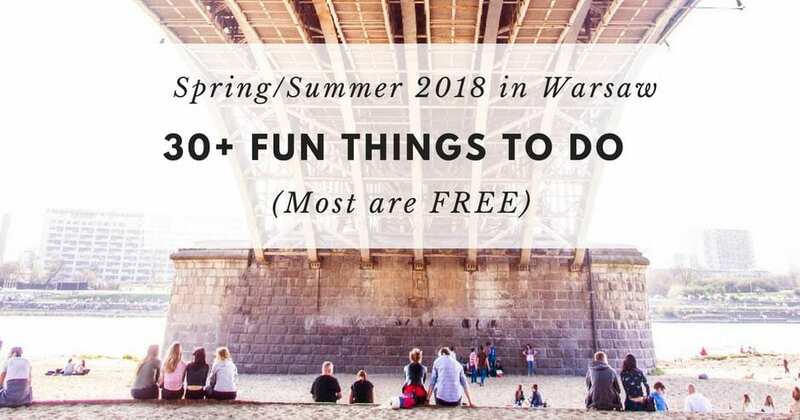 We already talked about the Christmas Markets in Warsaw and we made a video of the Warsaw Lighting Festival, but if you want to engage in something a bit more energizing, there is much more you can do. 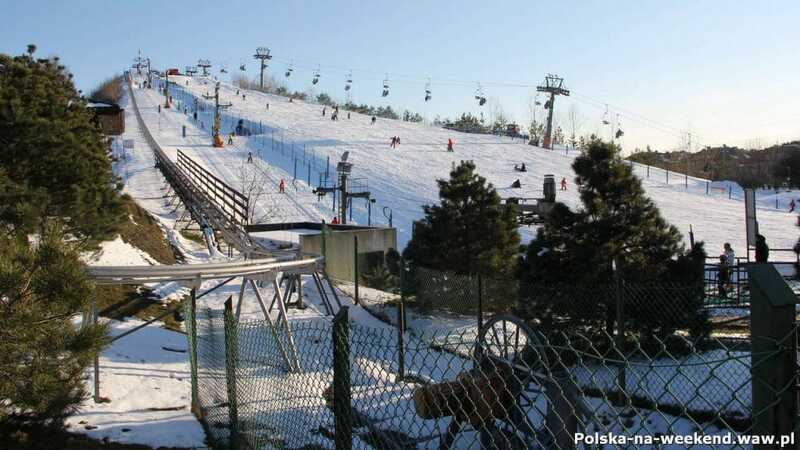 Ice skating, curling, cross-country skiing and many more winter sports are available to you in Warsaw. Get yourself a pair of thermal tights and let’s go! Running from early December until February, the Warsaw light festival is something you want to see! This amazing light festival displays 1300 artistic installations and covers over 20 km. It is the biggest light festival in Poland and one of the biggest in Europe. Think that in 2016 the number of lights doubled compared to 2015 (all the lights are LED, which makes this huge festival eco-friendly). Check out the video here. Have you heard about the rigid Polish winter? 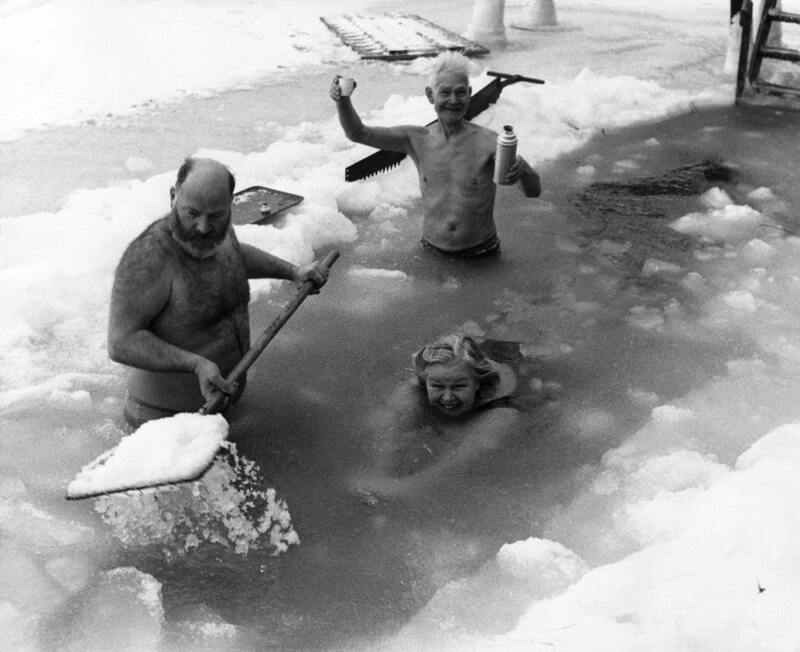 With temperatures hitting even -20C, it can be terrible to hang out outside for too long! That’s why visiting the city on these cozy (and totally cool) busses is a must in Winter! 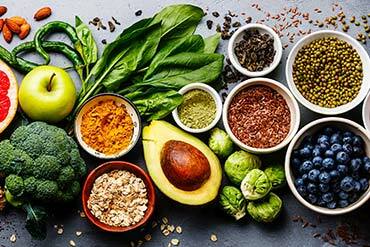 Learn more about them here. Many ice skating rinks filled the squares of Warsaw in December 2017. Most of these rinks will stay until the end of January. 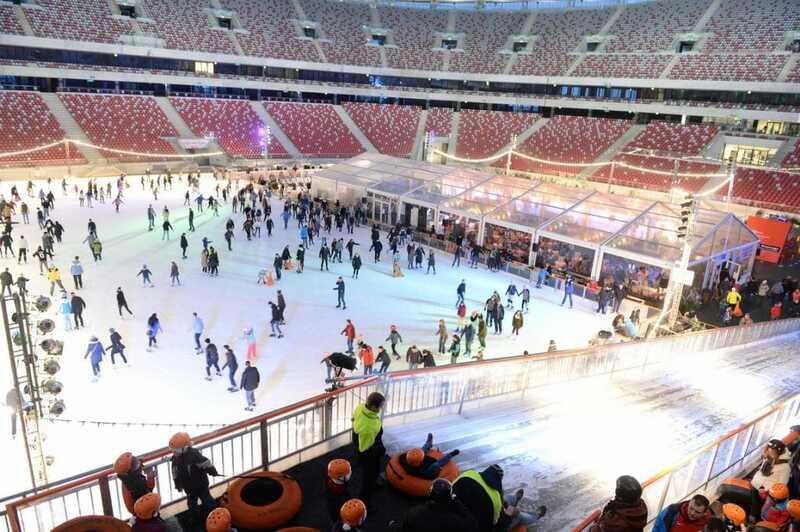 If you want to skate past this deadline, the Ice Rink at the PGE Narodowy is an obvious choice. 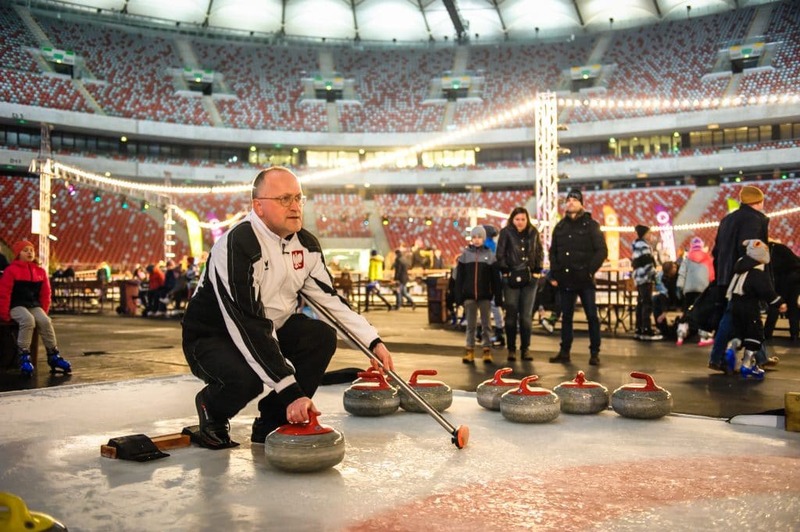 The PGE Narodowy in Winter is so much fun! 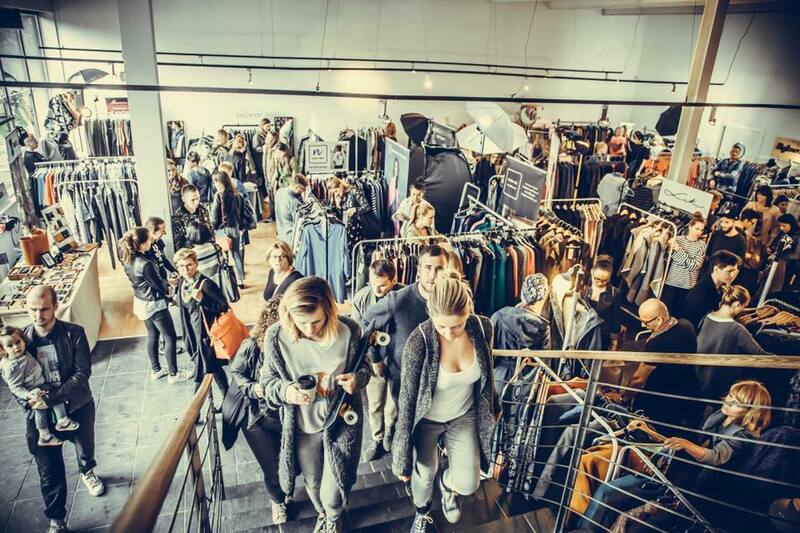 Besides hosting one of the biggest Ice Skating Rinks, there are also plenty of other fun activities. More about that below. Make sure you go to their “Disco Ice rink”, to skate and dance at the same time. 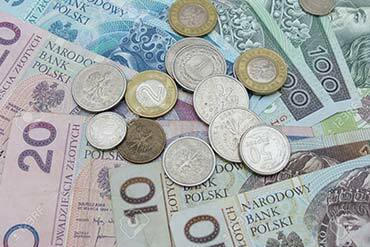 Price: 13-15 PLN for 75 minutes. Slide on this 11-meter tall ice hill. Loads of fun for kids and adults alike. 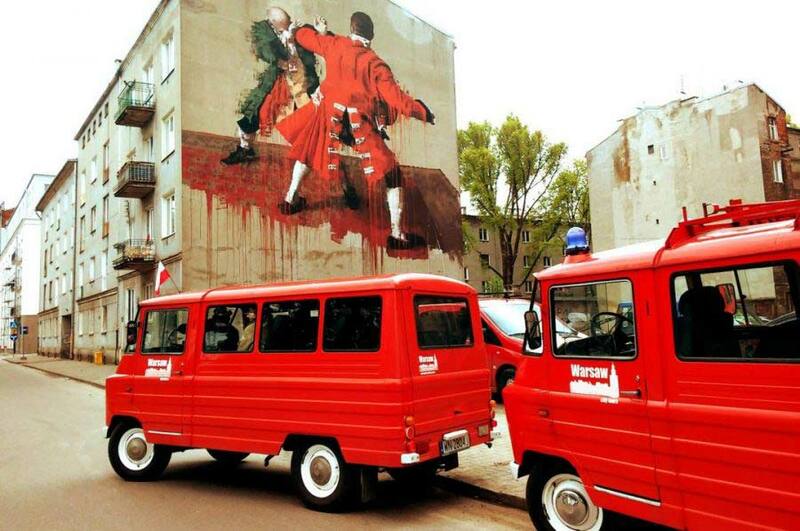 Located in the PGE Narodowy car park (at the level of -4), this skatepark is the largest indoor skate park in Warsaw. Open from December 2 to March 11. The first time I saw this game at the Winter Olympic Games couldn’t believe my eyes. What an odd game! Yet, I have to admit that I can’t wait to try it out. What about you? 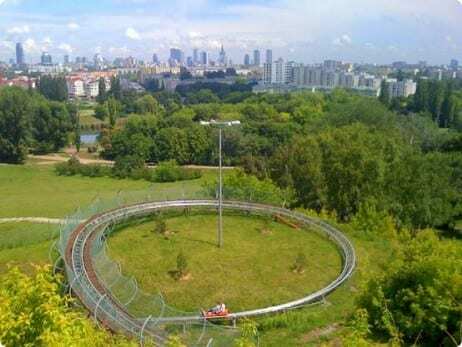 Rising to 152 meters, the artificial Szczęśliwicka Hill was created as a dump for rubble from the destruction of Warsaw during WWII. Today the hill is one of the main winter attractions, with an average slope of 19% (which makes it a blue slope, easy for beginners). 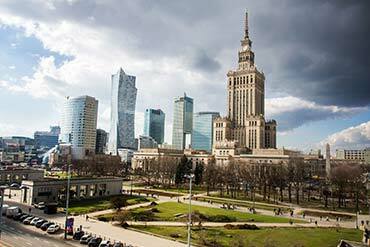 Besides skiing and snowboarding, you can also enjoy one of the best views of Warsaw. One more thing to do at the Szczęśliwicka Hill! The gravity slide is 700 meters long and reaches a maximum speed of 36 km/h! You can also go cross-country skiing on several trails through nature. 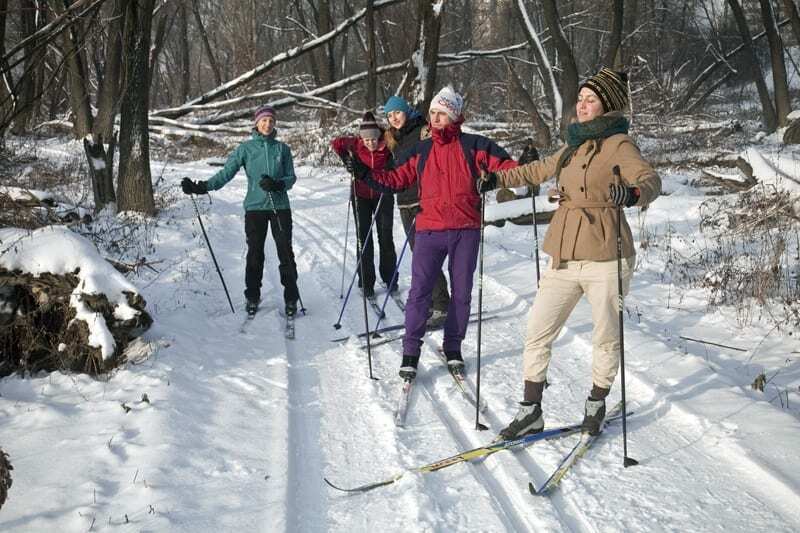 In the Kampinos Park, for example, you can ski on all walking routes, which sum up to more than 300 kilometers of trails. If you want to give it a try, there is a rental company in the vicinity of the park (Jana Wieczorka 50), where you can rent the equipment and get the maps of the trails. The most common routes are 3.8 km, 6.5 km, and 9.0 km long. Another rental company (they speak English and German) has two locations: Młociny (open already) and Ursynów (opening soon). 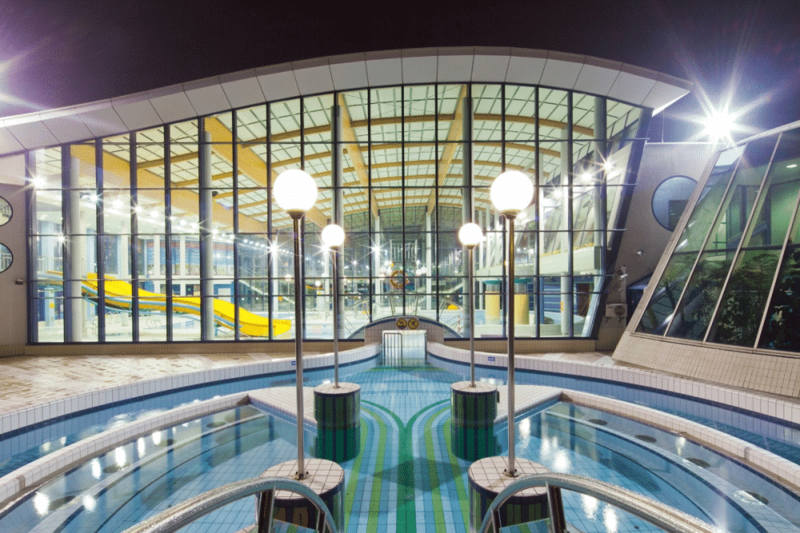 The recreational pool at Wodny Park is an all-year outdoor pool with heated water (29 degrees Celcius). You can dip in the warm water even when the temperature outside is freezing cold. When you get tired of it, you can swim back inside without ever leaving the pleasantly warm waters (the outdoor pool is connected with the indoor one). Or in super cold water! 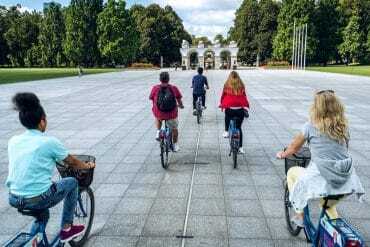 If you’d rather opt for an extreme experience, you can challenge yourself and venture into the near-freezing waters of the Vistula river or the Czerniakowskie Lake, in Mokotów. Regular events are organized at those locations, during which you can expect some warming up exercises followed by a dip in the cold water! 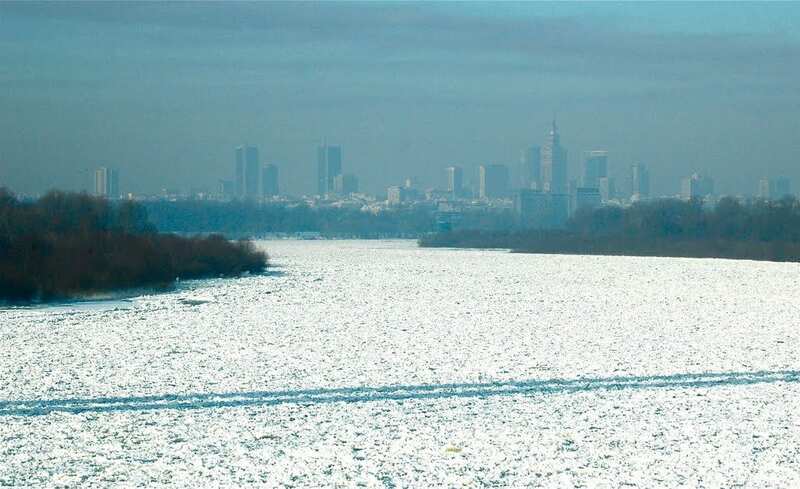 When the temperatures are well below 0 degrees Celsius, the Vistula River freezes to the point that you can actually walk over it. You can venture under cult bridges like the Poniatowski or just admire the Warsaw skyline from a different perspective. Do not venture on the river on the first sign of ice, as it could be deadly dangerous. Make sure (it will be announced by the media when it’s safe enough) that the ice is at least 10 cm thick. 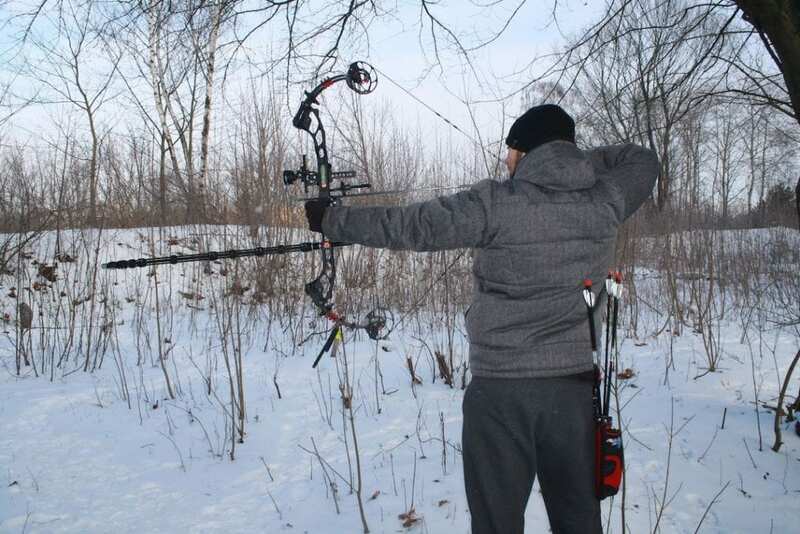 Ah, nothing better than shooting arrows at each other on a cold winter day. Just imagine: you’re hiding behind a tree, snow all around, “hunting” your best friends down! Sounds fun right? Don’t worry, as you can see in the video, it is absolutely safe! If you have a small group to play with, you can get the tickets directly on this site. If fighting for your own life doesn’t sound so much fun to you, there is a less thrilling – yet similarly rewarding – version of archery. 3d archery games are played in the woods near Warsaw: you’ll walk along a predefined path until you find 3d rubber animals to shoot at. 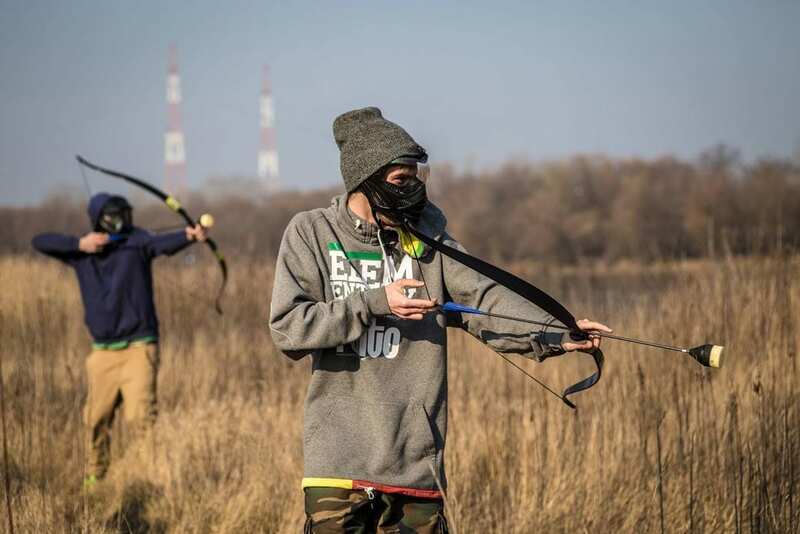 Check out the full article about 3d archery in Warsaw.